The permissions of the users and members are defined by roles and rights. A role is a system-wide permission, given to a user directly. A right is an object-related permission. A user gets a right not directly, but related to some particular object or object group. Roles define what the user is allowed to do; rights define where. System Administrator can manage the users and user groups of the Management System, and edit tasks. Site editors can create and edit pages, documents, and tasks. 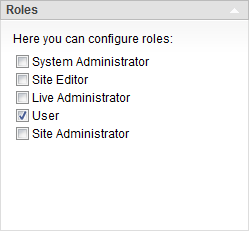 Live Administrator can manage the profiles and permissions of the Live System members. This role has some minimal permissions. Users with this role can view any unit of the AxCMS.net, but they are not able to change or save anything if they do not have the according role assigned. Site Administrators can do everything independent of the areas. They only cannot edit or create members/users or user groups. Every user is assigned the User role. 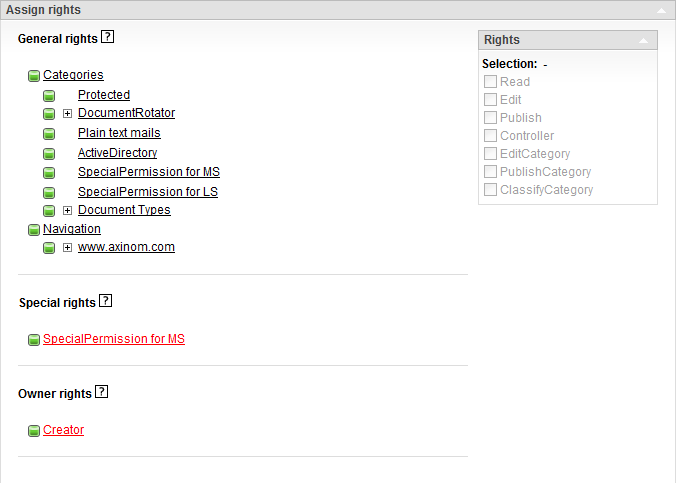 Never delete the User role, as it is required by AxCMS.net by default! To assign roles, just check the checkboxes of the corresponding role names and click the Save button in the left column (Tools section). 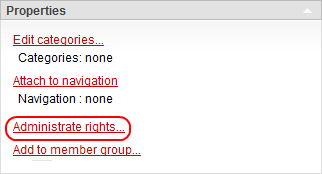 You must select a category from the category tree and then select the necessary right(s) from the Rights box. After saving, the user has corresponding rights for the selected category (and its child nodes). When you assign the selected category to some element, the edited user inherits the selected rights for this element. 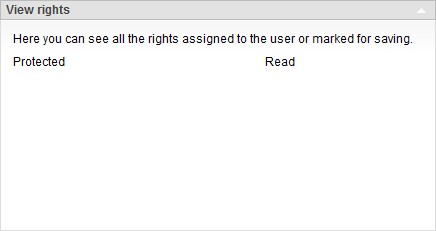 You can assign Special rights and Owner rights to the user in the same way. It is recommended to give every user the Edit right for the Creator category. This way every user can edit his own object, even if these objects are not assigned to any category yet.